Well this past weekend snow storm made me some $$$ as i scooped up the over time all week. 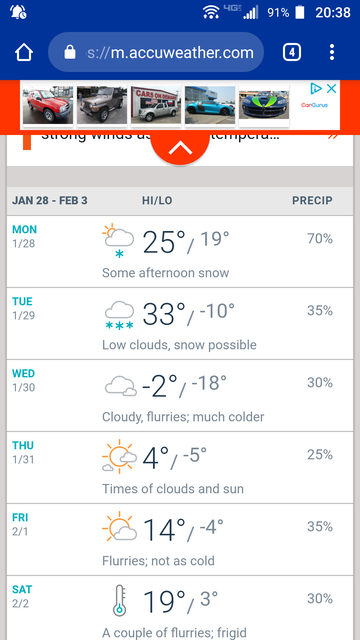 Mid week of next week is going to be some nasty cold though. I'm off that Tuesday/Wednesday and may plan to just stay home and keep the fire place burning. I'm going to get a heater set up pointed towards my chickens roost for that day. Gotta keep their toes warm. There's very little crime going on in weather like this anyway. Bulk of the calls are domestics or traffic related. Now I have to ask... Since the criminals have been (Like many of us) sidelined by the weather... Is there a spike in crime after the warm up hits? Last edited by Lunkerdog; 01-29-2019 at 06:30 PM. No lines crossed lunker, no worries. In the cold Weather we deal with domestics in the home. Everyone trapped inside just leads to increased domestic calls. Also allot of welfare checks on both homeless people and older people who's family wants them checked up on. Where I'm at there is a fairly large homeless population. So we also get increased trespassing calls when it's bad weather. MOST of these result on a "courtesy es// co//rt"(HNI blocks out that word) to a shelter and a summons for trespass. As long as there was no property damage. Another issue with the bad weather is that allot of these people want a free ride to jail. A warm bed beats single digit temperatures. So you have to use your discretion to decide if the action warrants a trip to jail, while keeping in mind that a trip to jail may be exactly what the person is looking for. When the weather warms up finally calls will increase.... Just by the simple fact of having more people out and about. And summer months are much busier than winter months for us. 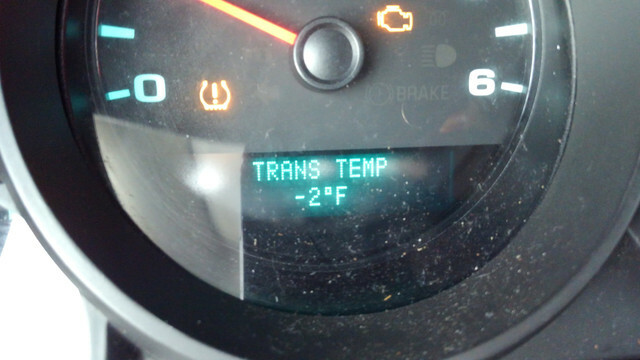 -22°F at da hut this morning. Wind chills close to -50°. Sad day here in southern Wisconsin. Beer deliveries are canceled until further notice.